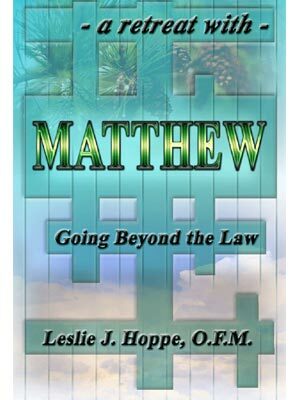 In this seven-day retreat, Going Beyond the Law, your director is Matthew the Evangelist. His words will help you to understand how Jesus fulfilled his role as Messiah and brought about the age “foreseen by the prophets and longed for by the pious.” Matthew does not disregard the traditions of ancient Israel, but casts them in a new light—the light of the World. Series editor Gloria Hutchinson has written extensively on the spiritual life. Leslie J. Hoppe, O.F.M., is professor of Old Testament studies at Catholic Theological Union in Chicago, Illinois. He has served as the chairperson of the Biblical literature and languages department and as the acting vice president and academic dean.